NZ Hemp Brokers Director Chris Woodney is a passionate, experienced and sought-after speaker on the topic of industrial hemp (iHemp). Chris’ interest in hemp spans two decades and he has traveled the world investigating its use, regulation and benefits in different countries. He is well informed on all aspects of hemp production from ‘seed to sale’, including licensing, growing, processing and distribution, and the relevant governing legislation. He has presented to various audiences from GPs to farmers on hemp’s economic, nutritional, health and environmental value. His presentations challenge what many people think they know about hemp and showcase the potential that exists for New Zealand, and all New Zealanders, in embracing industrial hemp. Chris is available for speaking engagements and can be contacted through NZ Hemp Brokers. Chris is often sought out by media for comment on New Zealand’s industrial hemp industry and is available to provide well-informed, representative media comment on industrial hemp. 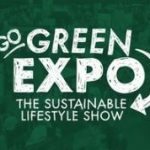 Drop in to our Christchurch Go Green Expo stand to see our latest hemp products and to find out more about the many benefits hemp provides. Drop in to our Wellington Go Green Expo stand to see our latest hemp products and to find out more about the many benefits hemp provides.